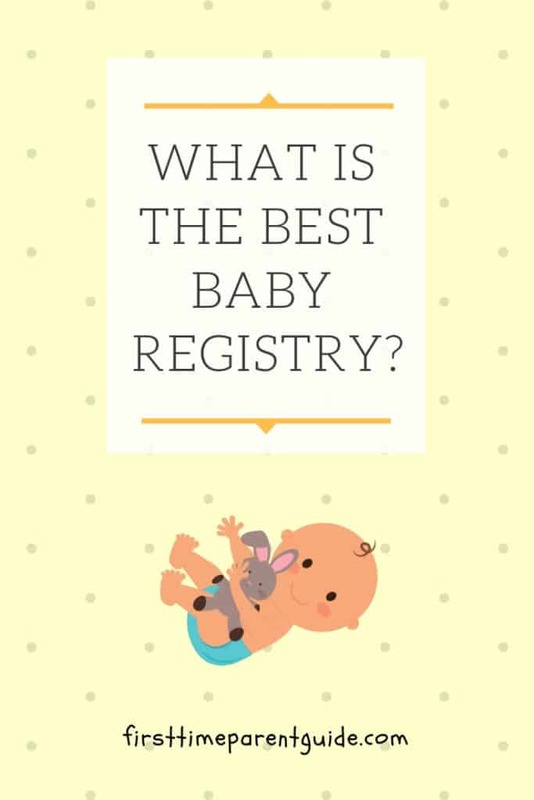 Get the answer to this never-ending discussion once and for all and see what the best baby registry is! There has been a never-ending debate on what is the best baby registry out there. You have probably read several moms advising to register here because of this and that, or some moms warning you not to register here or there because of blah blah blah. One thing to consider before jumping to a conclusion on what is the best baby registry is that one mom’s experience might be different from another mom; hence, the various feedbacks. 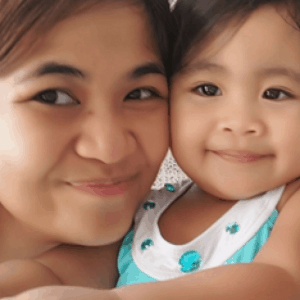 I have been reading all the online “debates” and tried to find a solution and hope that it will eventually help moms to settle where to create their baby registries. One solution to probably end the “best baby registry debate” is to know exactly what exactly to put or not to put on the registry. Once parents know, they can make narrow down their list and take it with them while they research online for the lowest price of the items. It also helps if shipping and returns are free. You will never know when you need to return an item. Regardless of where you end up registering, customer service always changes. Some online feedbacks about a lousy customer service happened four years ago. For all you know, the employee is no longer working for that company, hence, a different experience with customer service. Let us start by enumerating some of the most talked about baby registries. Out of this 11, there are three that would allow you to add any item from anywhere. Amazon, Myregistry.com and Babyli.st. Take note of the different return policies of the gifts you are adding from third-party sellers to avoid future returning issues. Adding gifts from any store in the world can be a bit overwhelming. So it would be good to have a list on hand to help you before you discover tons of items you might end up not using. For example, if you choose Amazon and found an item on Babies R Us, you can add that Babies R Us item in your Amazon Registry via their Universal Registry Button. Myregistry.com also allows you to do the same thing. You can add items from Amazon and Walmart and can literally add items from anywhere and even upload your Target and The Land of Nod registries. Babyli.st would also allow you to do the same and would even accept lists such as paid help, cooked meals, and college funds. People should learn to accept the usefulness of things like a universal registry. Until they do, there will be twice as many returns and useless gifted items as there have to be. Does The Amazon Baby Registry Work? Amazon has the most extensive and unbeatable selection of products of all so you might not need to find another product from off Amazon. Prices are mostly cheaper than at other stores so you might not have to search anywhere else most of the time. Amazon has one of the most comprehensive and unbiased items reviews on the internet. Return or exchange process (within 90 days) is free and easy. The gift giver also does not find out that the gift was returned or exchanged. Not all items are eligible for free 2-day Prime shipping. No physical store to see products. You can go to Babies R Us for example so you can touch the product and add them to the universal registry system afterward. How About The MyRegistry Baby Registry? You can add gifts from stores that don’t have a website. You can register for cash gifts by creating a cash gift fund. Cash gift funds are great for anything you might be needing in the future! You don’t need to be using a desktop to add an item to your list. Use your mobile while you are on the go. You can scan any barcode and add items to your gift list while browsing your favorite store. Scan and compare prices to find the best prices on the items you want and add them to your list later on. Be careful of adding items from stores with limited reviews. To limit future problems, look for things on Amazon, which has the most comprehensive reviews online and add them to your MyRegistry list. The customer service seems to be unresponsive. The first time I wrote this article was on October 27, 2015. I had several questions then that I need to clarify, but up to this date, they haven’t responded yet (September 23, 2017). I am not sure if it went to their spam, but I am very sure my e-mail was sent. How Is The Babylist Registry? Have your list ready and go to physical stores to test drive strollers, touch baby clothes and see other options that you are not able to view online. Amazon is well-known for the cheapest deals as well as comprehensive reviews. If you cannot find some needed items on Amazon, use the MyRegistry to see price comparisons of things to find the best deals. While Babyli.st sounds tempting because of their unconventional offers (e.g., home-cooked meals), the completion discount you get is minimal. You can only be discounted on specific stores. Which one gets your vote and why? I would not recommend using myregistry.com. I recently used it for my baby registry as it is convenient to have items from several different retailers. However everything that was bought off the registry had all kinds of issues with orders being duplicated to never showing up to sending the wrong item. I emailed them to share my feedback and they offered to help. That was a week ago and there was no follow up since. I will never use their site again or would recommend it to others. Thanks for your feedback and for sharing. I am sure my readers will find it extremely helpful. Wow, I did not know there were so many online baby registries! I think the best pick for me would be Amazon. I purchase a lot from them, so I see this as the best choice. I like it because you can probably get all the baby products from most popular companies in one store shop. What a nice and helpful review. I remember my first baby register – several handwritten pages with all the necessary (and also some unnecessary) things listed 🙂 and then crossed over when bought 🙂 It was a big mess back then so I am happy I have found your post to be more prepared next time. I think I will give Amazon a try. It is the well-known network and seems better than the rest to me. I am fond of all the reviews there as you can really benefit from those – before any purchase I have a look at what Amazon says about the product. I also think that customer service is extremely important and their customer service is excellent – I have felt it several times. So I will stick with the proven and tested value in this case – with Amazon. At least you knew about a baby registry during your first baby. In my case, I didn’t know about its existence until our friends and family gave us surprise gifts. LOL. What I like best about Amazon is the hassle-free returns. I bought a lot of cloth diapers from them and it only took a few clicks to request for a refund or a return. I had no idea you could add things from anywhere to your Amazon registry! That’s amazing and super exciting… I love Amazon! For my first baby I registered at Target, which I still love, and I don’t even think I registered anywhere for #2. As we are thinking about having a third, I’m definitely going to remember this! These are the three simple steps you must do. Hi, thanks for the great sharing. Having a baby registry in hand help to keep everything in check. Out of the three registry websites that you mentioned in your blog post, seem like Amazon is the best but is the discount only limited to those purchase within US region or it is applicable for purchase outside the US as well? Here are some rules about the completion discount regarding your question. 1. Items must be sold by Amazon. 2. In your completion discount view inside your Baby Registry, you must see the “Eligible for Completion Discount” on the item you want to add. If you happen to receive gift cards (vouchers) from everyone instead of receiving items from the usual baby registry wish list, you can later on use the vouchers to purchase more expensive but quality baby items that you will actually need (like a car seat or a stroller). Thank you for highlighting the top three most recommended best baby registry! Out of the top three which one do you prefer to use? I believe that I’m going to sign up for the Amazon baby registry for my unborn. I would probably start with Amazon Baby Registry. I am honestly tempted to try Babylist, but I am not sure if I need home-cooked meals or house help from people that I don’t personally know. I would maybe accept that unconventional help but only from people I personally know and trust. MyRegistry is tempting to try too, especially for cash donations. But I am quite embarrassed to ask for cash, LOL. Hey Pitin, I like the list you have covered on baby registries. I have tried the first two and I am very much satisfied. Genuinely, I am not dumbfounded one piece by Amazon Baby Registry being among the all around loved. Since Amazon is doing almost anything conceivable these days. Moreover, on the off chance that you need to attempt it for nothing to check whether you like it or not they give you a 90-day trial. Best thing about the Amazon Baby registry is that you may give back a thing and get cash for what you require. There is constantly that one thing we by and large disregard to get for the tyke. Was asking why you didn’t do any audits for the other Baby registers you had recorded? Sometimes, providing all the details of all the other options out there can give you an analysis by paralysis. I wanted to summarise the three best options (Universal Registries) since by using them, you can add any item from any other stores – something that the rest of the baby registries cannot do. Should you change your mind about the baby registry you used, you can always upload your list later to another universal registry. For example, you chose Amazon but decided to go with Babylist later on. It is very possible to do this without any hassle. I hope this helps. I agree that Amazon is indeed the best shopping site among all shopping sites and I would not doubt it to have the best baby registry. I’m so glad you gave a recommendation for the top 3 baby registry gift sites. There’s no way I could’ve gone through all of those myself. Too much information gives me paralysis by analysis! It’s no surprise Amazon tops the list 🙂 I really liked babyli.st. I’ll recommend it to my friends because it has much needed services for new moms. Great “outside the box” gifts! I like all of them personally but I think I’d stick with Amazon because of the completion discount. And if ever I need an “outside of the box” gift like a cash donation, I can upload my Amazon list to MyRegistry. The cash gifts I can ask for them using MyRegistry and I can use the cash to afford the homecooked meals and other outside of the box gifts that makes Babyli.st sell. It’s a personal preference because as I see it, Babyli.st has a very limited amount of options when it comes to baby products and they only give you discount if you buy from specific stores. This is a great list, but what about Walmart? I’d really like to see a comprehensive list of absolute necessities with recommended brands and what new mothers typically put on their registries but turned out to be a total waste. I have actually have it HERE. Also, you cannot add any item from other stores to Walmart Registry, therefore making it less flexible. Thank you Ashley! Have you decided where to submit your list yet?